Traveling from house to house, night after night, Carlos worries each day about the gift he cannot afford to give the Baby Jesus on Christmas Eve. Following each evening of the posada, Carlos excitedly tells his aunt of the sounds, tastes, and songs of Christmas that he witnesses, but his joy is shadowed by his concerns. Following the advice of his beloved Tía Nina, Carlos decides upon a magical gift that stems from the love in his heart and blossoms through the strength of his love. DANIEL LECHÓN is a prize-winning artist whose works have been collected and exhibited in museums and galleries in the United States and Mexico. Lechón currently resides in Houston, Texas where he continues to produce fine works for exhibit and sale. 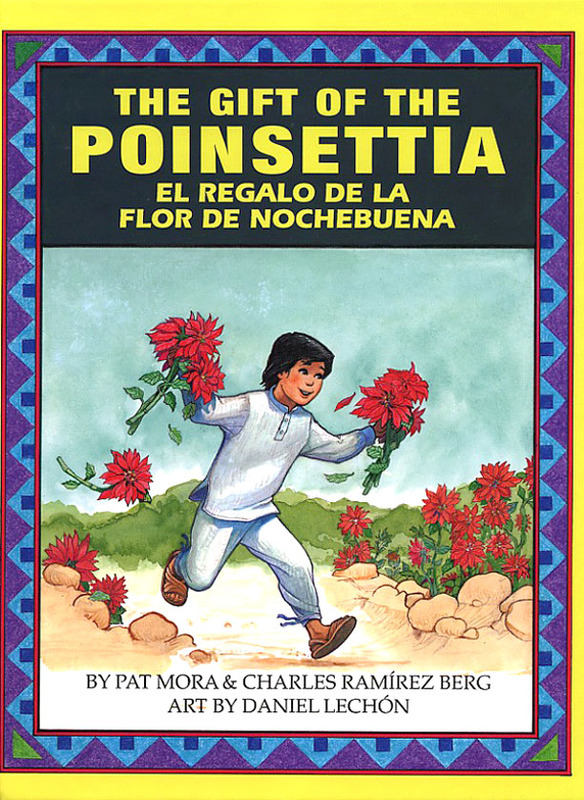 He has illustrated two books for Piñata Books: The Desert Is My Mother/ El desierto es mi madre (Piñata Books, 1994) and The Gift of the Poinsettia/ El regalo de la flor de Nochebuena (Piñata Books, 1995).